The Retreat Center at Sumatanga provides the comforts of home while surrounded by nature. Sixty-two motel style rooms await the guests whether for individual retreats, church retreats, or family reunions. Meeting space is available in each of the five buildings that make up the Retreat Center. Each bedroom is equipped with its own phone. We provide televisions and DVD players for the meeting rooms when requested. 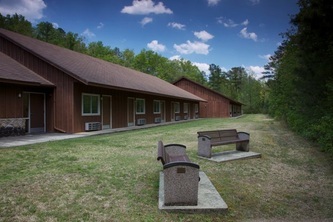 Wireless internet is available throughout the Retreat Center. Limited Verizon and Sprint Cell service is available in the Main Office. 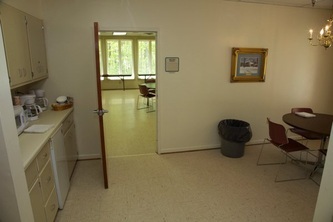 Rooms include 2 full beds, private bathroom, linens and towels. Meeting space provided and assigned dependent on group size.